Fish Risotto “Napoli” with a Crown of Prawns – For the Pampered Cat! Being an animal lover, throughout my life I have negotiated my way around the world of pet food: bad smelling fish flakes, turtle food, hamster kibble, rabbit crunchies, chicken feed, parakeet millet, canary cuttlebone, finch feast, doggie delights and enough cans of cat food to feed several generations of felines in a large city. According to the Pet Food Institute, in 2013 in the United States alone, cat food sales alone were as follows: $3.7 billion in dry food, $2.4 billion in wet food, and $.56 billion in cat treats, for a total of $6.66 billion! Their estimates suggest “cat ownership” of 73,639,400 cats, as opposed to “dog ownership” of only 71,639,000 dogs. Spending on dog food, however, amounted to $13.9 billion, most likely because dogs are usually bigger than cats and eat more. That’s a lot of kibble! A little research on cat food indicates that there are at least 107 different “brand” names of cat foods, i.e., “Fancy Feast”, “Iams”, etc. from a multitude of US manufacturers (www.felinecrf.org). In addition, according to http://www.thedailycat.com, global sales of all pet foods is expected to reach $95.7 billion dollars by 2017. Naturally, then, it’s not surprising that a few cookbooks catering to our pets would eventually surface and I have three in my collection, although I know there are more out there. 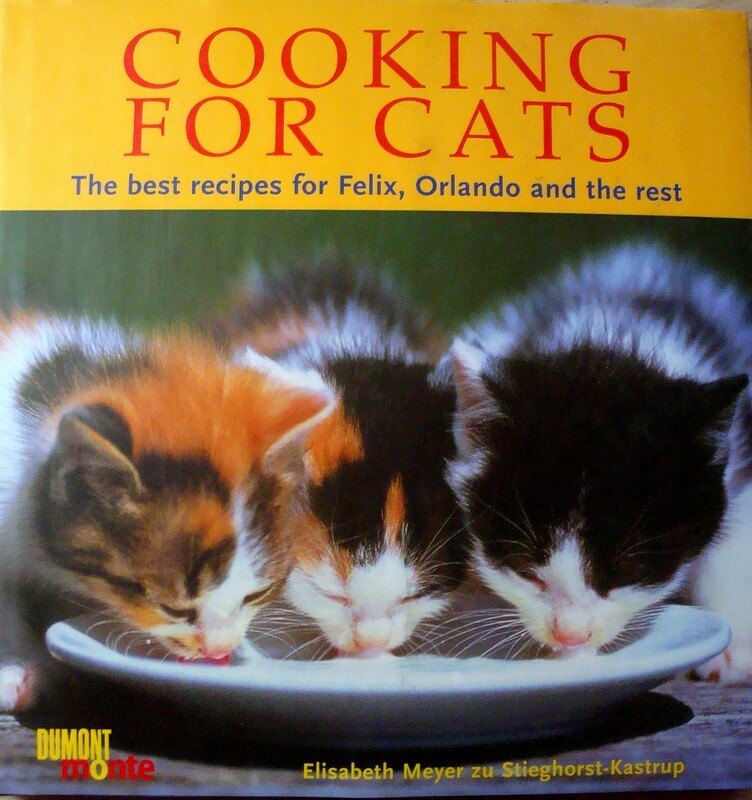 First up is “Cooking for Cats” by Elisabeth Meyer zu Stieghorst-Kastrup, published in 2001. 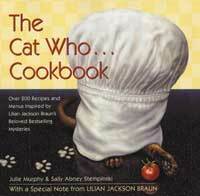 Second is “The Cat Who…Cookbook” by Julie Murphy and Sally Abney Stempinski, which was inspired by Lillian Jackson Braun’s bestselling mystery series, “The Cat Who…”. 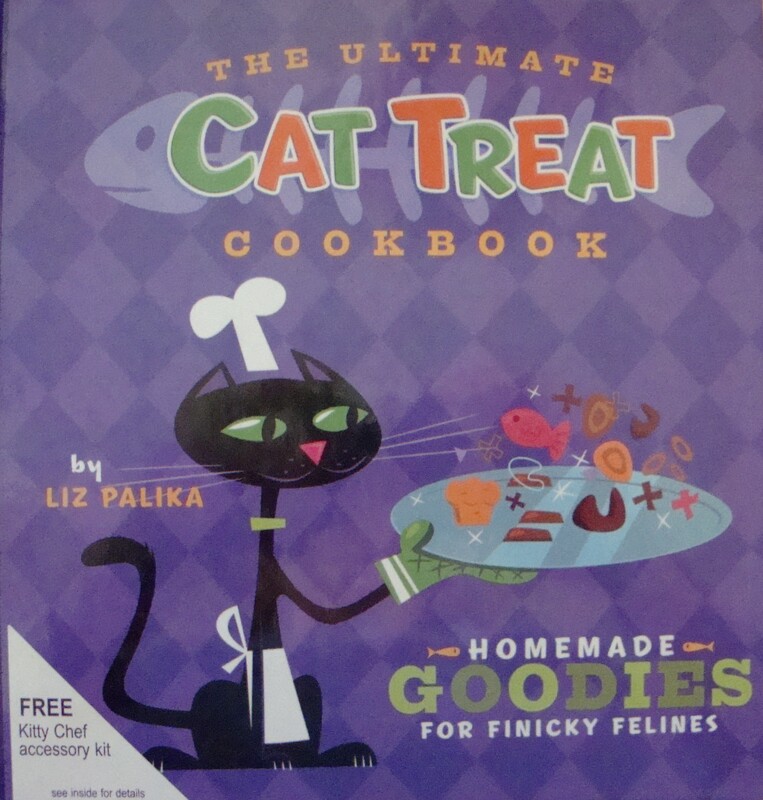 Lastly is “The Ultimate Cat Treat Cookbook” by Liz Palika. Author Meyer zu Stieghorst-Kastrup has collaborated with a veterinarian in writing her book, and there is substantial information about the dietary needs of the cat, what to feed, what NOT to feed, and recipes for your cat including “Cat Bouillabaisse “Marseille”, “Fiery Heart Viva Mexico”, “Meatloaf Green Meadow”, and “Swimming Sardines”. In “The Cat Who…Cookbook”, inspired by “The Cat Who…” mystery novels, the recipes are for non-feline types (read: people), inspired from the novels, but there is a special section “Feline Fare”, featuring suggestions for pampered cats: canned crabmeat, diced round steak, sardines with crumbled egg yolks, veal, boiled lobster tail, minced baked shrimp, boned frog legs. Some of them seem a little suspicious, like “Veal Stroganoff”, or “Poached Salmon with Capers”. You might check with your veterinarian before dishing up “Curried Chicken” to your feline companion! In “The Ultimate Cat Treat Cookbook”, author Liz Palika offers up “Tempting Tuna Treats”, “Yummy Chicken Liver Balls”, “Salmon Soy Circles”, “Happy Birthday Catnip Tea”, and “Chicken on the Prowl”. There’s a recipe for “Turkey and Parmesan Crumbles”, which sounds pretty palatable to me. She also has lactose-free and wheat-free recipes for your feline. 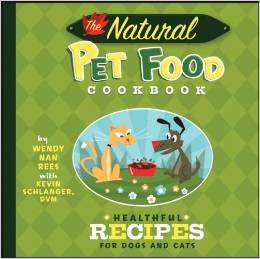 Note: I also just located a copy of “The Natural Pet Food Cookbook” by Wendy Rees with Kevin Schlanger, DVM, which features “healthful” recipes for dogs and cats. Our two cats are indoors only, which is much safer and healthier for them. (Tux, in the black and white tuxedo, and Shadow, all black). Our earlier cats, sadly gone from our lives included Amber (brown tabby), Casper (gray tabby) and Kisa (mix of Siamese/Himilayan). They all hold special places in our lives and we can’t imagine our home without these wonderful furry felines. Enjoy the slides of our wonderful feline friends, Tux, Shadow, Amber, Casper and Kisa! This entry was posted in Cookbooks, Cooking, Cooking and Social History, Recipes, Uncategorized and tagged Abney Stempinski, Cat Food, Cats, Cats - the Musical, cookbooks, Cooking, Cooking for Cats, Elaine Paige, Elisabeth Meyer zu Stieghorst-Kastrup, Felines, Julie Murphy, Lillian Jackson Braun, Liz Palika, Memories, Sue Jimenez, The Cat Who...Cookbook, The Ultimate Cat Treat Cookbook. Bookmark the permalink.